According to an article posted on TMZ, Shep was at the Players Championship last Friday at TPC Sawgrass in Ponte Vedra Beach, Florida. He was in the VIP tent inside the Dye Pavilion, watching the tournament from the 17th hole. Which is the dream of many golf fans. Shep allegedly drank a little too much alcohol. According to witnesses, he became belligerent and bothered other guests. Sounds a bit like the Shep we know, right? Maybe when Shep got his VIP tent wristband, he thought that “VIP” stood for “Very Intoxicated Person?” And he just wanted to comply? We have all seen Shep imbibe a bit too much over the years, sometimes waking up in a house that looked like a frat party had occurred there. With a hungover Shep rolling out of bed in the early afternoon. And Shep’s Southern Charm bestie Cameran Eubanks scolding him for his errant ways. Witnesses also claimed hat Shep got up and started dancing, which blocked the view of the other VIP guests. Which, I am sure, thrilled the other guests who probably pay thousands of dollars for their tickets. Maybe Shep just heard the catchy Southern Charm theme song floating through his head and felt the urge to boogie! And the party of one didn’t end there. According to TMZ, a woman working at the event asked Shep to leave, but he refused. And then the St. John’s County Sheriff’s deputies got involved. A spokesperson told TMZ that the deputies working the event escorted Shep out of the tent without incident. He was not arrested and was still allowed to remain at the tournament. There is no word on Shep’s antics after that. Which might have proved interesting. Shep has examined his alcohol use in past seasons, at one point even becoming concerned when a medical test revealed he had liver damage. And he seemed committed to slowing down on the liquor intake at that point. Maybe it’s time for Shep to revisit that prior commitment? As he has often taken a judgmental stance towards the eccentric behavior of fellow co-star Craig Conover, it probably wouldn’t hurt Shep to cast some of his own judgment inward. I wonder what Patricia would think of all of this? The Southern Charm manners maven would probably take a dim view of Sheps’ behavior. 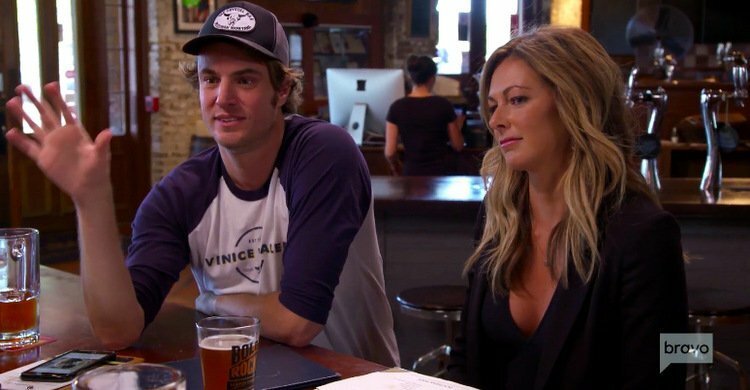 I have a feeling that the next time that Shep is at an event at Patricia’s, she will instruct the staff to stop serving him after the first round. Which he probably should have done himself at the golf tournament in Ponte Vedra Beach. TELL US-DO YOU THINK SHEP PARTIES TOO MUCH? IS SHEP TOO OLD TO BE MAKING A FOOL OF HIMSELF IN PUBLIC?